I’m a little late, but Happy Thanksgiving! I hope you had a wonderfully relaxing day and that you are still on a relaxation train as you’re reading this. I’m thankful for each and every one of my readers at Her Dog Blog. Thank you! Today’s product review is on a new product from a company called Natural Paws. EARoma thEARapy is an organic sprayable ear cleaner that aids in the removal of dirt and debris in your dog’s ears. It also boasts anti-inflammatory properties and…get this…it naturally aids in the determent of insects. 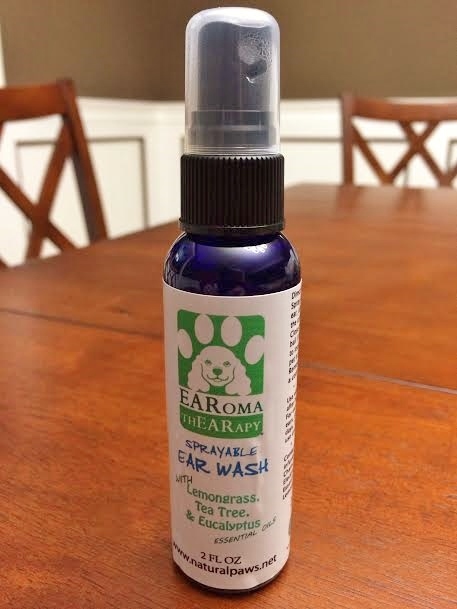 I jumped at the chance to give EARoma thEARapy a try when I heard about it because Teton often gets dirt and grime in his ears after hiking, playing at the beach, or just spending a few hours at the dog park. Teton has erect ears, which I’ve heard actually stay cleaner than dogs with longer, floppy ears (like Basset Hounds, for example), but he still gets his fair share of dirt in them from time to time. Here’s the thing about Teton’s ears. I can’t really tell if they’re dirty most of the time. See? I mean, even his ears are covered in hair! Regardless, I clean his ears a minimum of once a month when he gets bathed and more than that if we go to the dog park, to the beach, or on a hike. It’s not until I clean them that I realize how dirty they really can be! Prior to trying Natural Paws’ EARoma thEARapy, I used a generic Petco-brand ear cleaner. The ear cleaner that I used was the kind that you squeeze into your dogs ear and then wipe out with a cotton ball or sanitary wipe. Teton hated it. I don’t blame him. It seems like it would be pretty much the worst day ever if someone poured a bunch of liquid into your ear and expected you to sit there patiently while they cleaned it out. I don’t know if dogs can physically close their ears but we got to a point where Teton tried his darnedest to do just that when I took the bottle of ear cleaner out. After a few seconds of massaging, wipe your dog’s ear(s) out with a cotton ball or sanitary wipe. If you don’t clean your dog’s ears on a regular basis, I recommend starting and sticking to a once-a-month schedule. Supplement additional cleanings if you have an active dog or one that seems prone to ear infections or consistently has dirty ears. You know what they say…cleanliness is next to Godliness! Natural Paws sure embraces that idea. Check out their line of natural cleaning products as well as their recent YouTube video. 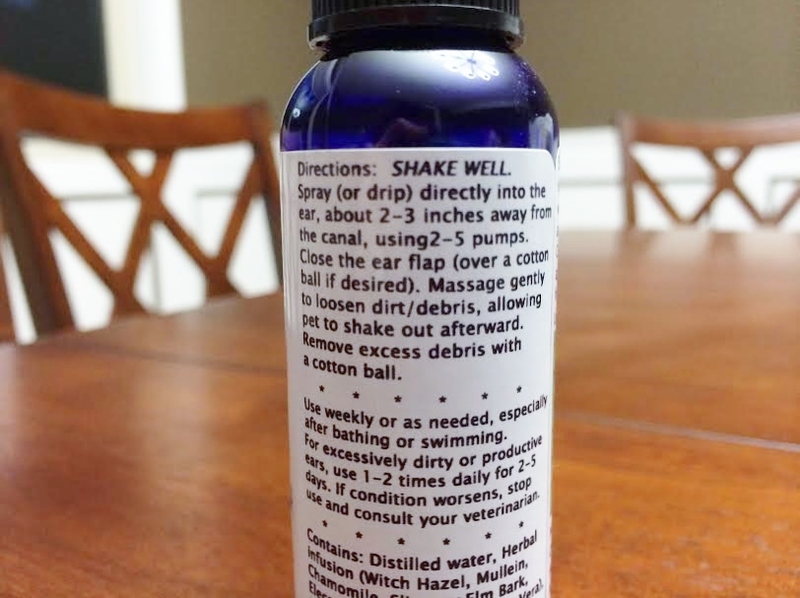 Thanks to Natural Paws for letting us try EARoma thEARapy cleaner in exchange for this review. Posted on November 29, 2013 by Shannon	This entry was posted in Beauty Parlor. Bookmark the permalink. ← Aw, come on. Liv-A-Little! Thanks for sharing. 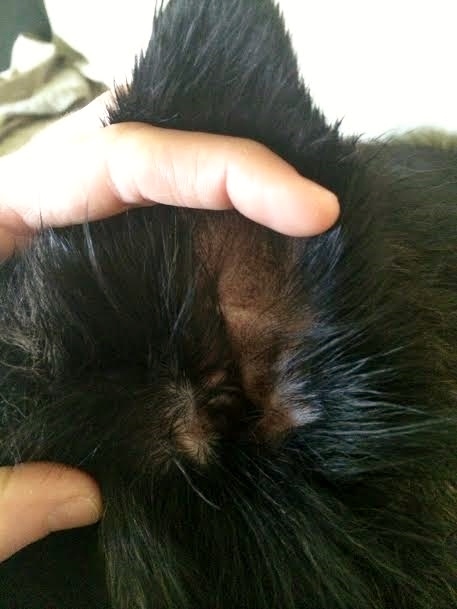 One of my pets has some sort of ear infection. A tea tree solution certainly helped improve the situation. Now, this product that you posted looks interesting. I will try this on my pet one of these days.